Once the tour details are finalized with your acceptance, we made a tentative booking at the hotels & for the transportation. HOW I CONFIRM MY TRIP? By sending 50% of total Bailed amount prior at least 30 days of your tour starts. Balance can be paid upon arrival in India. 50 percent of tour price will be refunded, if cancellation is done 15 days prior to commencement of tour. No refunds for cancellations done with less than 15 days notice. There are few hotels, who normally ask for non-refundable deposit at the time of booking for e.g.. Hotel at Mandu, Jhirabagh palace, Ujjain etc. There for you are requested to please check with us regarding the refund policy for above mentioned hotel. No cancellation shall apply on Domestic airfares, in case the tickets are booking by us and safari booking also. IS MY TOUR COVER INSSURANCE?? 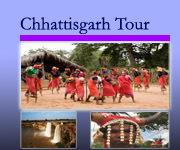 DO I NEED SPECIAL PERMIT TO VISIT TRIBAL TOUR OF ORISSA & CHHATTISGARH ? 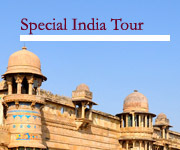 For Foreign Nationals – There is no special permission and restriction to visit in orissa and Chhattisgarh. One can visit their weekly market only. IS IT SAFE TO TRAVEL ORISSA AND CHHATTISGARH TRIBAL AREA? Orissa and Chhattisgarh are safer places to travel like any other states in India. Peoples are peace loving and hospitable by nature, only the political issues are making obstacle sometime which is unavoidable and out of our reach. Almost all militant group (Maoist) of India are under the peace treaty with the government presently. IS ORISSA AND CHHATTISGARH IS A GOOD DESTINATION FOR TRAVELLING WITH CHILDREN? Orissa and Chhattisgarh is an excellent destination for family with much to offer for different categories of travelers. Parents, youngsters and children delight in the experience of its rich culture , scenic landscapes, rich tribal heritage, wildlife adventures in the national parks/wildlife sanctuaries, will be enjoyed by all. WHAT IS THE BEST TIME TO VISIT EASTERN INDIA ( ORISSA AND CHHATTISGARH)? The best time to visit Orissa and Chhattisgarh would be from Oct. to April. Though in Orissa, scope for tourism activities prevail throughout the year. WHAT TYPE OF ACCOMMODATION CAN I AVAIL IN ORISSA? Private run different star category hotels/resorts/ Heritage Palaces /guest houses/camps are available throughout Orissa states, besides government run tourist lodges/circuit houses. These private accommodations are available even in neat and clean comfortable at the remote tribal destination in southern part of Orissa with all the modern amenities. WHAT TYPE OF VEHICLE CAN I AVAIL FOR TRIBAL TOUR IN ORISSA AND CHHATTISGARH?? Different type of small taxi ,4X4 SUV and mini coach is advisable as a vehicle for orissa and Chhattisgarh tribal tour. WHAT KIND OF FOOD I WILL HAVE AT ORISSA HOTELS/RESORTS/GUEST HOUSES/CAMPS AND IN RESTAURANTS? One can get both vegetarian and non-vegetarian delicacies. One of the main specialties of the food is that it is very different from the food available in other parts of the country. 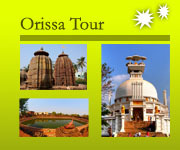 Orissa has everything to offer to its visitors, foreigners or Indians (traditional food) . Restaurants offering Indian, Chinese & Western style foods can be found mostly in cities and towns. WILL I BE ABLE TO GET INTERNET ACCESS EASILY DURING TOUR IN ORISSA? Internet connections are available in most of the cities/towns , even in the main town of tribal zone. except in the more remote rural/tribal/border areas. CAN I USE CREDIT CARD IN ORISSA AND CHHATTISGARH STATES? You can use Visa or MasterCard only at different town and city in Orissa and Chhattisgarh states. It is recommended to carry enough Indian currency for your daily expenses etc. Fooding, lodging, shopping, personal expenses, safaris, entrance fees etc. HOW IS THE ATM FACILITY IN NORTH EAST INDIAN STATES? ATM facility is available in all big or small town in orissa and Chhattisgarh including the state capital. CURRENCY EXCHANGE IN ORISSA & CHHATTISGARH?? Currency exchange can possible only at state capital such as Orissa’s- Bhubaneswar and Chhattisgarh’s – Raipur. But in tribal area in Orissa, only USD can be exchanged at Sunabedha in Koraput dist. WHAT ABOUT THE DRINKING WATER IN THE TRIBAL AREA OF ORISSA & CHHATTISGARH?? Always Mineral bottle water is suggested to drink during tribal tour in orissa and Chhattisgarh and it available in all small and big town in orissa and Chhattisgarh ( before use please check the expired date). CAN PHOTOGRAPHY IS ALLOWED IN ORISSA & CHHATTISGARH TRIBAL AREA ?? Now yes, but before shooting camera please take permission from the tribes. And also consult with your local tourist guide. IS TOURIST GUIDE MANDATORY DURING TRIBAL TOUR OF ORISSA & CHHATTISGARH?? Yes, accordingly Govt. of India rule it is Mandatory to accompanying a govt. 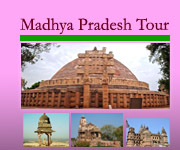 approved valid license holder tourist guide during Tribal tour in Orissa and Chhattisgarh. IS THERE ANY PROFESSIONAL TOURIST GUIDE FOR PHOTOGRAPHER?? 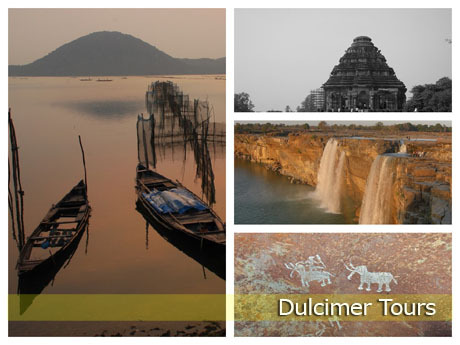 Yes, Dulcimer Tours has a team of knowledgeable friendly tourist guide team who are specialize for Photographer tour. IS IT SAFE ORISSA AND CHHATTISGARH FROM MALARIA & DENGU?? Yes, each hotel provide mosquito repellant electric liquid but please take a mosquito repellant (Ayurvedic mosquito repellant cream is available each and every big town in orissa and chhattisgarh) with you . Prevention is better cure. WHAT ABOUT THE MEDICAL TREATMENT IN CASE ANY PHYSICAL PROBLEM?? Almost all small and big town there is medical facility and every where now medicine shop in orissa and Chhattisgarh. (Consulting fees of doctor is not so expansive too).